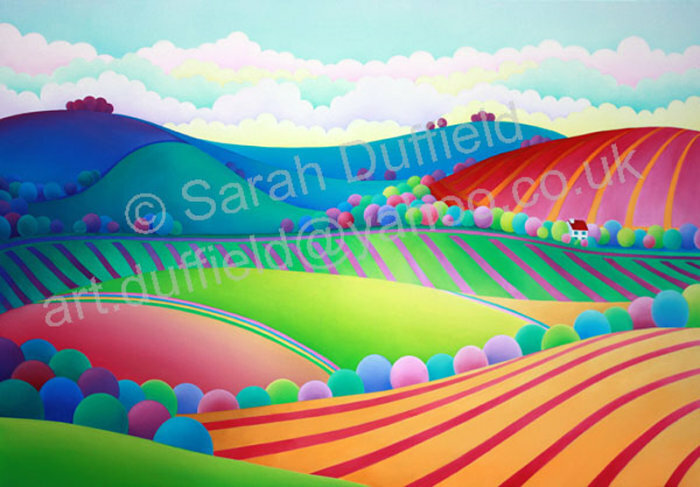 I love the layers of coloured clouds in this painting and the little house nestled in the fields. This would be a magical place to live. Stripes are very difficult for me to paint and this painting had a lot of them! but I really enjoy how effective they are, helping to guide you through the image. Sorry this large limited edition print is no longer available.